Mamma Mia Wines Launch in the U.S.
Share your #MammaMiaMoment and join our table on Facebook, Twitter, and Instagram at @MammaMiaWines. MAMMA MIA! You can’t say it without an exclamation point and you can’t say it without smiling. 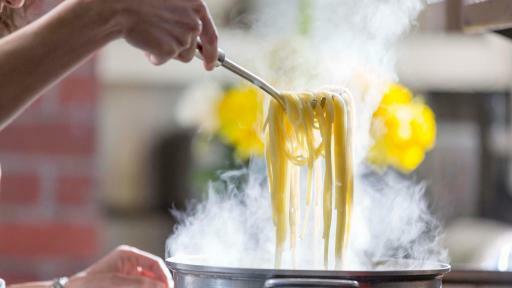 Two simple words of this famous Italian expression sum up a world of emotion, from celebration to exasperation. It’s bold, it’s fun and it captures a life filled with character, and now there’s a wine to match. 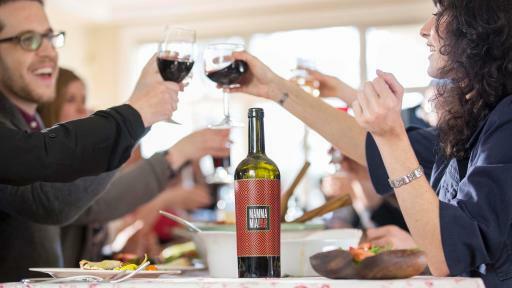 Available nationwide this summer, Mamma Mia introduces Mamma Mia Red Blend and Mamma Mia White Blend, wines to share around crowded tables filled with family, friends, laughter —and of course, delicious food. Mamma Mia wines boast Italian roots, Vino d’Italia, so all of the fruit for the wines is sourced from Italian vineyards. The wines are made and bottled in Puglia, Italy, located in the heel of Italy’s boot, by Winemaker Davide Sarcinella who has been making Italian wines since 2000. Creating exceptional wines from both international and local varietals, these wines are characterized by Sarcinella’s vast and unparalleled experiences throughout Chianti and Puglia. In Mamma Mia wines, he strives to make intense, but never too heavy, silky reds and excitingly fresh whites that express the individual personality of the fruit from which they are created. Salute to Life, Laughter and Lasagna! 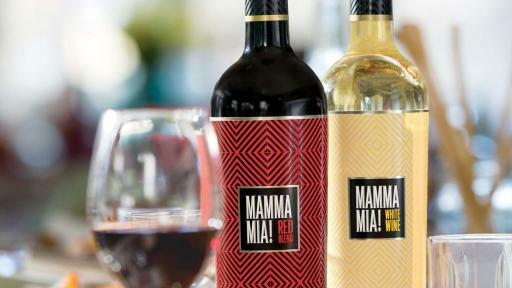 Introducing Mamma Mia Red Blend and Mamma Mia White Blend: bold wines boasting Italian roots for your table. 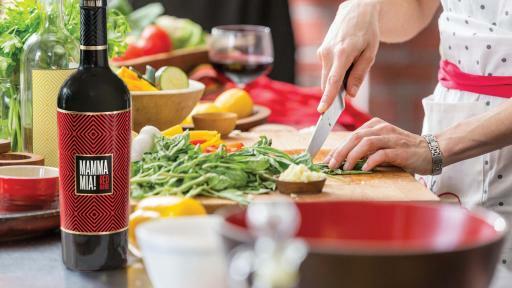 The Mamma Mia 2015 Red Wine Blend (SRP $11.99) is ruby red in color and offers aromas of currant, blueberry and plum along with overtones of rose, licorice and vanilla. The 2015 vintage of Mamma Mia Red Blend is soft on the palate, has an excellent structure and finishes with notes of fresh fruit. 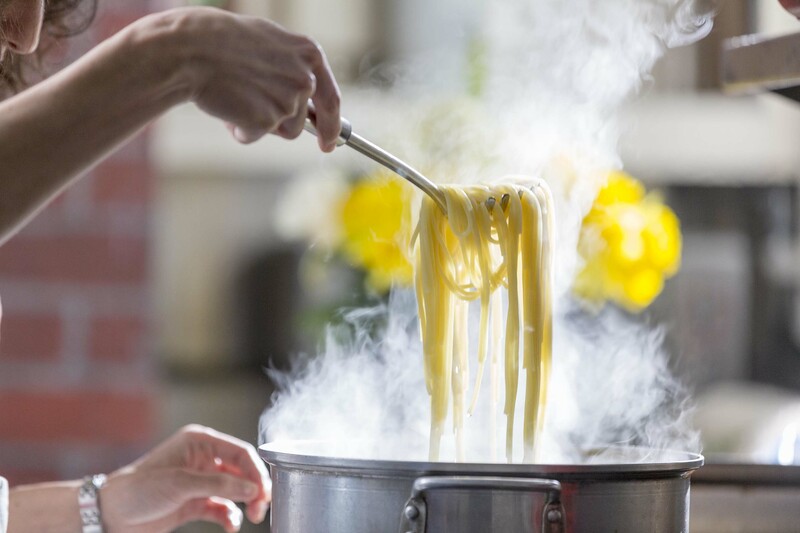 Pair it with your Nonna’s secret family recipe for lasagna, or with a margherita pizza from your favorite neighborhood place. The Mamma Mia 2015 White Wine Blend (SRP $11.99) is straw yellow in color and shows intense notes of peach, citrus, tropical fruit and flowers. On the palate, the 2015 vintage of Mamma Mia White is full of flavor, balancing its natural acidity with a delicate, off-dry finish. 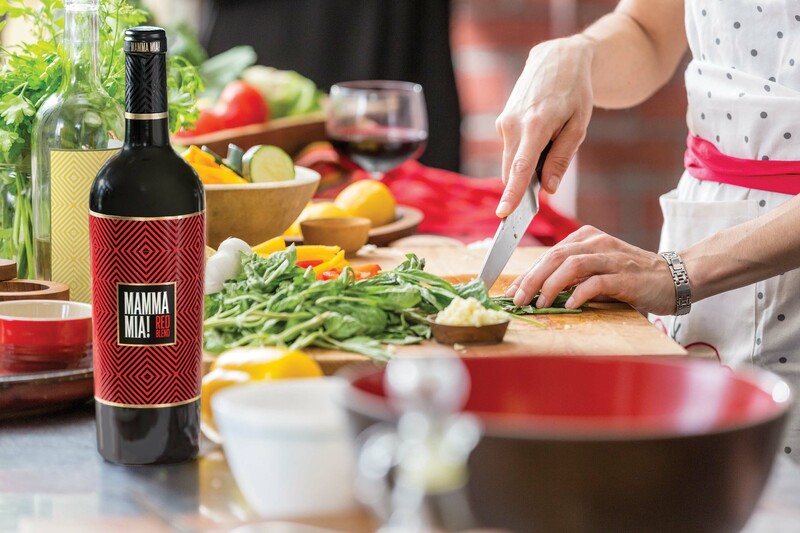 Pair the Mamma Mia White Blend with hearty summer salads or homemade fried squash blossoms. Both wines are a perfect complement to crowded family tables or sitting around with your other family—those friends who make up your personal cast of characters. So whether you’ve had the best day ever or a #MammaMiaMoment, you’ll find Mamma Mia Wines in stores nationally this summer. 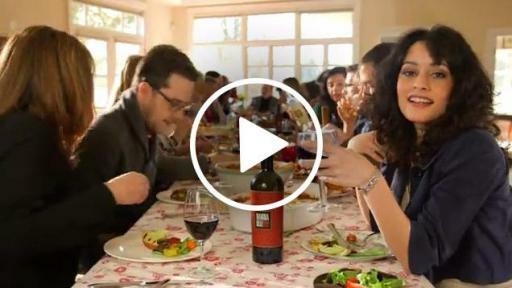 And, don’t forget to check out the cork before you toast, five Italian toasting phrases have been added to help you celebrate all life has to offer. Salute! MAMMA MIA! Two simple words of this famous Italian expression sum up a world of emotion, from celebration to exasperation. 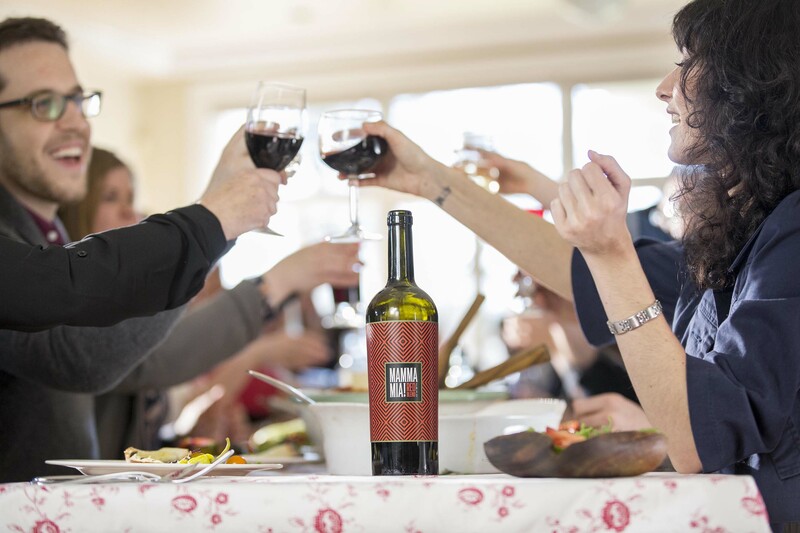 It’s an expression rooted in the joy of life, Italian style: food, music and loved ones talking in boisterous voices—all the reasons you exclaim, “Mamma Mia!” Mamma Mia wines are inspired by Italy, yet rooted firmly in our beloved and iconic Italian-American culture. 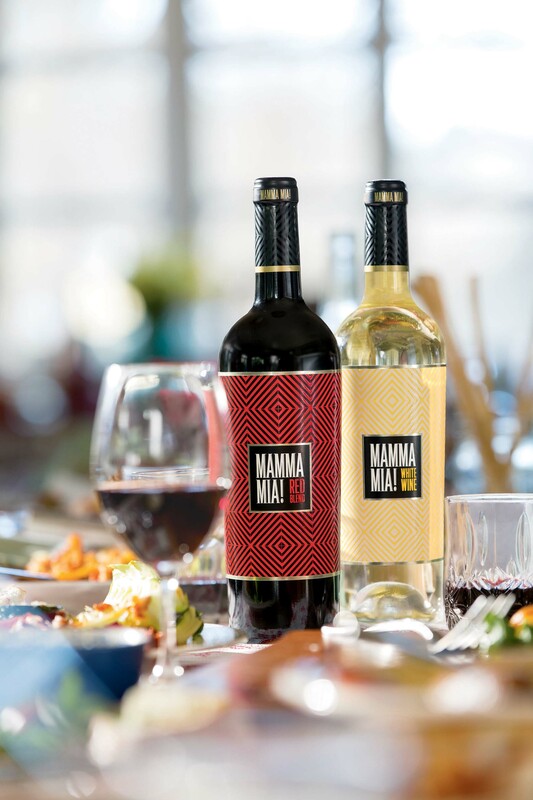 Mamma Mia Red Blend and Mamma Mia White Blend are both perfect for crowded gatherings or simply to relax with a great glass of wine. Learn more at www.mammamiawines.com. Share your #MammaMiaMoment and join our table on Facebook, Twitter, Instagram and YouTube at @MammaMiaWines. Salute to Life, Laughter and Lasagna!